Stories of LGBT+ Adventists and their families have caught the attention of major news organizations, pointing both to the power of the stories and their uniqueness as accounts from within the faith community. Two stories in particular—one about an Adventist pastor who came out as bisexual and another about the Adventist parents of a transgender daughter—have received national media coverage. Last month, Alicia Johnston announced to her congregation, the Foothills Community Church in Chandler, Arizona, and to her employer, the Arizona Conference of Seventh-day Adventists, that she was resigning from her full-time pastoral role over her “complete disagreement with the Adventist Church on its teachings on LGBT people.” Johnston revealed that she identifies as bisexual and described the story leading to her resignation in a 27-minute video message. Johnston’s video went viral on social media, and after coverage in Spectrum, the story was picked up by Religion News Service, NBC News, and other major outlets. Johnston said the experience of sharing her story with such a wide audience has been ultimately a positive one. "I have never been as honest about myself and spoken with as much frankness about my experience with God than I did in that video, and to have it resonate so deeply with so many people is truly affirming," she said. However, Johnston sought to deflect the spotlight. "It's not about me and my sexuality at all," she said. "It's about discussions that desperately needed to happen and queer people in our communities that need to be seen and heard." Alicia Johnston - Screen capture from coming out video on her website, aliciajohnston.site. She said that any number of closeted Adventist pastors could have made a similar video and said she was "overwhelmed with the honor and responsibility that it was me." Noting that she is one of many people in the Adventist Church to have come out, she said, "God used my coming out to bring hope and courage to a lot of people." In the month that has followed her coming out, Johnston has taken time for self care—a trip to the ocean and the opportunity to "meet and reconnect with some incredible people in the Adventist queer community," she said. She has focused on writing and public-speaking engagements but without anxiety about what might come next professionally, she said. 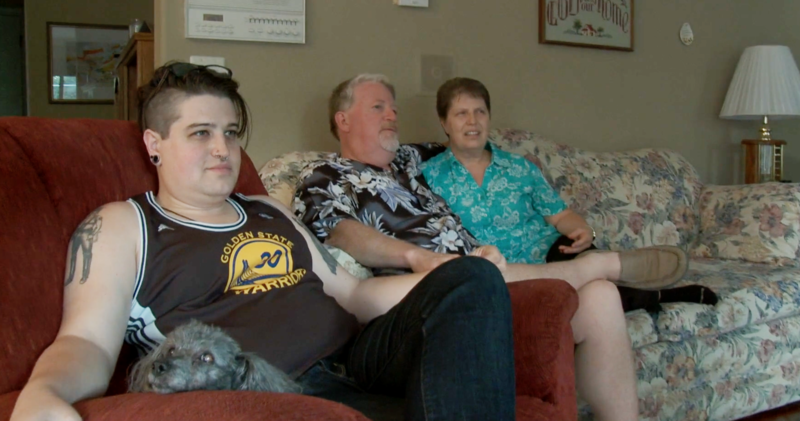 NBC News also picked up the story of Teagan Widmer, a transgender software engineer from the Bay Area, and her parents, Kris and Debbie Widmer, after their story was featured in the Outspoken video series. Kris Widmer has served as a Seventh-day Adventist pastor for more than three decades. In the video, Debbie and Kris describe the struggle they experienced coming to terms with the changes their family experienced and the paradoxical way their faith community left them feeling isolated after Teagan came out. Teen Vogue, Refinery29, and LGBTQ Nation were among the outlets that covered the Widmers' “Outspoken” story. That the stories of Alicia Johnston and the Widmer family hit national media was no accident. Eliel Cruz, an LGBT activist, faith organizer, and Andrews University alum, used extensive connections with religion reporters and LGBTQ reporters to help the stories spread. “Realistically, mainstream media doesn't care about Adventist stories. They don't pay attention to it,” Cruz said. He attributed the oversight to Adventism’s insularity and its relative foreignness to most North American media. However, Cruz noted that journalists have picked up stories he pitched them both because they are “really interesting stories” and because he can contextualize Adventist stories in ways reporters unfamiliar with Adventism might not be able to. The upshot has been many eyes on the two stories in a short time, something that left the Widmers taken aback. “Debbie and I are amazed at the response to the video—41K views in three weeks,” Kris Widmer said. “We realize it is a unique perspective in Christianity to hear the struggle from parents, especially those who work for the church, to share their journey,” he said. Such openness about LGBT+ experiences is indeed rare for people of faith in general, let alone the Seventh-day Adventist community. However, the media attention also had some negative repercussions for the Widmers. Kris noted that the “Outspoken” video went live the day before he preached his final sermon at the Antioch Seventh-day Adventist Church in Antioch, California, prompting at least one attack website to opine that he was resigning over a conflict with the Adventist Church. “That is not true,” Kris said. He stated that he resigned from the Adventist pastorate to pursue chaplaincy work with Adventist Health. Kris, Teagan and Debbie Widmer. Photo by Stephen Eyer / Watchfire Films. “Since our video has helped more than one LGBT person in this way, we know it has truly been worth it,” he said. That is the power of honest, courageous storytelling. Title Image: Screen Capture from "Widmers - Outspoken"